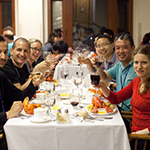 The twelfth Cold Spring Harbor conference on Systems Biology: Global Regulation of Gene Expression will be held at Cold Spring Harbor Laboratory and begin at 7:30 pm on Sunday February 26 and run through lunch on Thursday March 2, 2017. 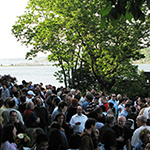 The original plan was to hold the meeting in the Dominican Republic, but CSHL and the organizers have made the decision to relocate the meeting back to Cold Spring Harbor because of the growing emergence of Zika throughout much of the Caribbean. 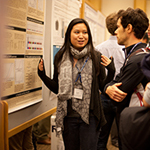 This conference is supported in part by funds provided by the National Institutes of Health. We have funds to provide partial scholarships for individuals who are US citizens/permanent residents from minority groups underrepresented in the life sciences. Please apply in writing via email to Maureen Morrow and state your financial needs. Preference will be given to those who submit abstracts. 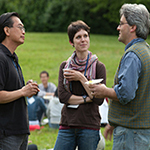 The designated hashtag for this meeting is #cshlsysbio. Note that you must obtain permission from an individual presenter before live-tweeting or discussing his/her talk, poster, or research results on social media. Click the Policies tab above to see our full Confidentiality & Reporting Policy. We look forward to seeing you at Cold Spring Harbor in February. Regular packages are all inclusive and cover registration, food, housing, parking, a wine-and-cheese reception, and lobster banquet. No-Housing packages include all costs except housing. Full payment is due four weeks prior to the meeting.